Good morning out there Tampa and future Tampa residents! 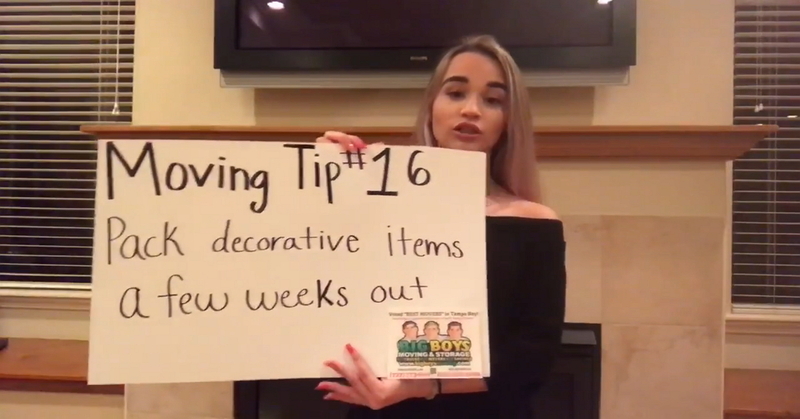 We’re back again with another great video moving tip from Big Boys Moving and Storage! 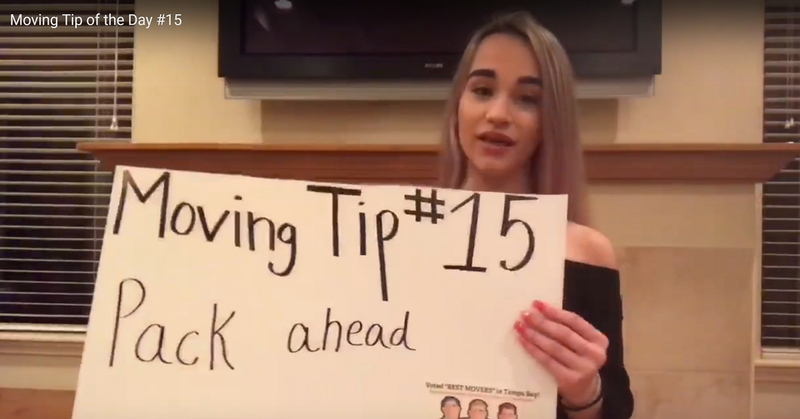 Today’s tip is the sixteenth video moving tip in our series of “Moving Tip of the Day” video segments, make sure that you check out each one for an easy move! Today’s packing tip is to pack decorative items a few weeks out from your move! Decorative items are items that generally have no functional use so you can get started with packing them ahead of time without having to worry about needing them again until after your move. Just be sure to pack your items safely to ensure that they get to your new home in one piece. For ten years running, Big Boys Moving and Storage have been voted as the top moving company in the Tampa area. What does that mean for you? It means that when you hire us to take care of your upcoming move you have peace of mind that you are putting your move in the hands of the most trusted moving company in Tampa! We have a lot more moving tips here on our blog if you’re looking for ways to save money on moving, tips for an easier move, or tricks from an experienced moving company on the whole moving process, you’ll find plenty here! Or you can just head over to our Google or Facebook pages, and take a look at more of our regularly shared moving tips! Ready to get your move underway? Just pick up the phone! Don’t forget to ask about our moving specials too so that you can save more money on top of our affordable rates! Just dial 727-773-8111 or 813-936-2699 today!